← What does John Wesley teach us about work and economics? How can John Wesley help us find social forms geared to human flourishing? As I mentioned in a previous post, back in April of this year (2013) I spoke twice at an event centered around a new book by Indiana Wesleyan University Provost David Wright, How God Makes the World A Better Place: A Wesleyan Primer on Faith, Work, and Economic Transformation. I was invited to introduce a couple of the meetings at the conference with some remarks tied to David’s work and to Wesley’s thinking on work and economics. First, I want us to understand the service that David has done to the church by opening the conversation on Wesley and economics in this little primer. Now I had full expectation that Randy would set me in a good direction. After all, this was the man who decades ago, in a chance conversation on an airplane, basically gave me an entire starting bibliography for my dissertation on the American Wesleyan holiness movement. Instead, Randy said: “That’s great. So glad you’ll be talking about this. But this is a seriously understudied area. Almost nobody has written about this. There just aren’t that many sources I can point you toward.” Shocking! One of the world’s leading experts on Wesley not only couldn’t tell me much about this topic, but he couldn’t even point me to scholarly sources on it. That’s when I knew I had my work cut out for me. Then I read David’s book. And I realized the significance of what he has done here: He has started the conversation that we—pastors, laypeople, businesspeople, scholars—so desperately need to have. He has built the first foundation of a building that has yet to be built. And we are privileged here today to be in, as the business community says, on the “ground floor” of something very special. I hope you’ll realize that as we move forward in our discussion today, both in terms of the privilege of having this conversation with David, and in terms of how we’ve got our work cut out for us. Right now we’re standing on the job site. Through the generosity and vision of the Acton Institute and the Kern Family Foundation, we’ve got a foundation poured and dried. We’ve got some girders sticking up and some piles of materials scattered around. We have a preliminary blueprint, and some workers have been hired. But we don’t have that artist’s rendering yet of what the finished building will look like. And we’re not sure, even when we get that picture, of what the whole process of getting to the finished building is going to look like. What an exciting moment! What can Wesley and the Wesleyan movement teach us about economic work? In many respects, John Wesley had the sensibility of a businessman: The world-engaging Anglicanism of his father, the hard-working, tightly organized Puritanism of his mother, an Oxford education all joined together in a leader of intense piety, fevered activism, and organizational genius. The quintessential enterprise pietist. His brother Charles got perhaps more of the pietism and less of the enterprise, but John Wesley was always someone who was doing, doing, doing. I believe David has given us here a tremendous head-start on this question. And I’d like to suggest just a few areas in which we may find in Wesley a guide to life in the marketplace, by using a few cues from David as jumping-off points. First, David has here made the connection between economic activity and the activity of becoming a disciple. This suggests that one way you might run your business like your religion in that you might apply to your work the discipline of the self, the “method” in Methodism. Wesley didn’t abstract our spiritual lives from our material lives. So he provided a pattern of “this-worldly asceticism” that doesn’t apply just in our prayer closets or our churches. He gave us, as David shows us, an ethic for a transformed life: an ethic of assurance, integrity, and authenticity that, if we learn to live it in our work, will transform every aspect of that work, too. Another way to put this is that for Wesley, human personalities and relationships—both with God and with each other—took center stage. And that’s just as applicable in the marketplace as in the church. Our work lives involve us deeply in the need to understand human motivation and to behave with each other in ways that rely on what the New Testament calls the “fruit of the spirit”—virtues such as peace, self-control, kindness, patience, self-control. I would argue that Wesley, with his lifelong emphasis on holiness, is an excellent tutor on human motivation. In fact, I’ve long thought that like the desert fathers and the monastics and the great medieval mystics, there’s a kind of psychological acuity—what Wesley once called “the anatomizing of the heart”—at the center of the Wesleyan movement. A good Methodist preacher, it was often said in the eulogies of the American frontier period, was a keen student of human nature. He knew the motives of men and women and acted accordingly. So, in this area of work-life balance—this is perhaps not the best place to start with Wesley. But in matters of the heart: that is, the very center of our thinking, willing, and feeling: ah, there he shone. And there his movement excelled. There we can find a bridge over which we can cross from the fundamentals of the Wesleyan movement to the fundamentals of business. Of course, business deals so integrally in human motivation, at every level, from research and development to marketing and sales. A businessperson who does not attend to human motives and relationships is doomed. Capitalism gets a bad rap as a way of organizing economic activity that is built on self-interest. As Michael Novak argues, self-interest has been too narrowly defined, as meaning just one’s own direct, material benefit, whereas most people in the workplace are working from an expanded circle of self-interests: interest in their family, in loving and serving and feeding and caring for their families; and other social motives as well—it’s not as simple as to say that we are all self-interested. But the self is an appropriate place to start. The heart, as J Edwards and J Wesley both taught, is the springs of all human motivation and action. What Wesley worked for in teaching on holiness was not self-interest abrogated or desire cut off, but self-interest and desire transformed into a higher desire and a higher self-interest, an interest in and a love for God first and foremost, and then a love to others pouring out from that central love to (and from) God. This is an Augustinian model—it is eudaemonism; the Christian teaching that happiness is a central sign of who we are as Christians. When Wesley was asked, “What is the character of a Methodist,” he said “A Methodist is someone who is happy all the time,” and he went on to describe a rich and joyful subjective life, which was grounded in what? The transformation of human desires, loves, motives. Sanctification, holiness. The operation of the Holy Spirit in our daily lives and work. So when we ask, How can God make the world a better place through the economic work of Christians?, one powerful answer is: We can recapture this central insight about the heart that Wesley shared with Edwards and others but that he uniquely wove into this highly activist and emotionally expressive movement. We can affirm our worldly lives, our work, when it becomes not the first thing in our lives but the second thing—when the first things are in order, the second things will work better. Meanwhile, we must be wise in those second things, organizing our lives so we attend to our physical as well as our spiritual health. So believed Wesley, in publishing his primitive physic, giving medical advice, like Jesus healing the body as well as the soul—there was JW, starting dispensaries to get medicines to people, desiring to see them changed in all of their lives, not just in some realm of spirit—some inner realm of heart pietism. He critiqued, of course, the Moravians for their quietism: that they believed in the transformation of the heart and in love as the central thing, but they did not take the second step into action—they were content with that experience of me and Jesus. And Wesley fought back hard against that, even against his beloved Moravians through whom he himself had experienced the assurance of his salvation. I’ve just been reading an excellent essay by Richard Heitzenrater looking at the ethical underpinnings of W’s attitude toward the poor. He talks about two different kinds of ethics: obligation ethics and virtue ethics. An ethic of obligation sets the rules and laws for behavior, and then lays down the imperative: Go and do it! A virtue ethic recognizes that despite what Nike would tell you, you can’t “Just do it.” You have to “be it” before you can “do it.” Ethical behavior flows from ethical character. And ethical character is not a matter of gritting your teeth and performing a series of actions. It is about having your heart changed. Heitzenrater observes that even where Wesley uses an obligation ethic, it’s backstopped by a virtue ethic. For Wesley, one must be before one does. For Wesley, grace is crucial, transformation doesn’t happen without grace, therefore virtue ethics in the classical sense is qualified. In a truly Christian virtue ethic, we grow often through the imitation of the model Christ: as Wesley put it, “having the mind of Christ and walking as he walked.” But often that Christ-model comes most powerfully to us through human models—the stories of people like the ones David gives us in this book, or like the thousands of testimonies Wesley gathered and published in his Arminian Magazine, or the testimonies at the camp meetings and parlor meetings of the American holiness movement. 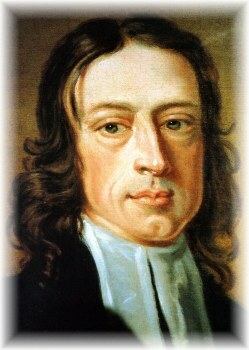 But here’s the thing, although models are important in virtue ethics, and we should aspire to be like Jesus and like other exemplary people, Wesley knew that we can’t expect to be like those holy examples and develop the habits we need to develop, that virtue ethics would enjoin us to develop, without grace. So whereas we see Wesley teaching and practicing this tremendous, strenuous emphasis on works—works of piety and works of mercy—and sometimes it may feel like this gets out of balance in his own life and in the strenuous lives of those who followed in his footsteps—we need to remember that Wesley always kept grace in view. He taught not fundamentally an obligation ethic, but a grace-driven virtue ethic. Wesley understood that: Get the heart in order, and those things will follow: good actions. He does talk about our obligations, but this is always grounded in that prior understanding that good fruit comes from a good tree—that the eye must be light for the body to be light. If the eye is dark, the body is dark. Out of the overflow of the heart, the mouth speaks, and the hands act. If the fountain is bitter, then the water that flows from it will be bitter. We do need to get our hearts right—and it is only through God’s grace that that will happen. Orthopathy is the crucial driver of orthopraxy. And of course all these things that are said about Wesley’s sense of duty to the poor, and virtue being largely in serving the poor, can also be said for Wesley at large on economics: that the central insight of Wesley on economics may be this interesting combination of virtue ethics and obligation ethics, in the sense that it is grace-driven but activated by our actions. Of course, Wesley did not just leave holiness in the realm of a personal, individual ethic. He turned it into these brilliant organizational forms: the societies, the classes, the bands, the annual conferences. Think of the class meetings, for example, in which one confessed one’s deepest struggles in a close circle of people. This came from a great insight into our nature as communal beings—an insight that even as recently as the 1960s, secular Americans were trying to recapture in their encounter group therapies and their communes. The truth is, you need communal forms if you are to become a better person—you need to be open to the edifying and challenging words of others, to being sharpened as iron sharpens iron. Wesley brought organizational genius to his movement. Wesley brought organizational genius to an evangelical ecclesiology marked above all by pragmatism—the Act of Toleration in England and the Peace of Westphalia that had preceded it allowed for a reality of religious pluralism, in which other concerns could subordinate ecclesiastical forms—where now individual piety could be held above, as the evnagleicals did, the exigencies of liturgy, doctrine, church discipline, leadership forms . . . and those things, those forms, could be tailored in many ways to meet that central need of the heart. And so Wesley did tailor the whole movement to that central need of the exigencies of the heart—human organizations toward the end of human happiness, through the Augustinian transformation of desires. So Wesley brought first, not just psychological acuteness and “the anatomizing of the heart,” but also organizational acuteness, and the organization of human beings toward pious, pietistic ends. I am reminded of the facility and fascination with numbers at the American Methodist Episcopal Church’s annual meetings during the 19th century. The statistics were up-to-date, carefully kept, and joyfully celebrated. These were like the annual meetings of a board or shareholder’s group, where a graph projected on the wall becomes the focal point of all eyes. This was a very Wesley way to run a church, and it was a new thing on the face of the earth: something like “enterprise pietism.” And today, I believe a study of the organizational aspects of the early Methodist movement can be very helpful to us as we look at how to make the organizations of our capitalist economy better. How do we bring the pietism back to the enterprise, as well as the enterprise to the pietism? We look at Methodism, which within a few short decades of its introduction in this country, became the most dominant social organization on the landscape of 19th-century America. And we look at how through Wesley’s organizational genius, form followed function at every level of that organization: through the societies, the classes, the circuits, the annual conferences, and the forms and structures, too, of those spin-off organizations churches in the American Wesleyan holiness tradition. ONE thing that strikes me about Wesley is how classically Christian he is. I mean that in a number of senses: he argues in Character of a Methodist that he is just preaching good old Mere Christianity (in Lewis’s words), and in many respects, that’s true, although he doesn’t give the medieval phase of the Christian faith the time of day, other than picking out a few mystics such as Thomas a Kempis . . . he emphasizes the place of works, the kind of medieval midrash on Matt 25—the works of mercy—the Benedictine and late medieval emphasis on serving Christ in others which derives from that passage. Weber used Wesley to his own purposes, but he could hardly have picked a better example of what he calls “this-worldly asceticism”: the application of disciplines, heretofore applied almost exclusively in spiritual growth, to the betterment of the world and the adding of value to communities in, for example, business. Things like his entrepreneurial dispensaries that he founded in order to provide necessary medicines for poor folks, or his multimillion dollar publishing operation, or the ways in which early M’ism rationalized the mining enterprises in Cornwall. This feels very much like the kinds of rationalization and large-scale production that happened in the growing medieval monasteries—Rodney Stark Victory of Reason stuff. Of course the focus of his energies is on the growth of Christianity in its Methodist form. He creates the machinery through all the small group meetings and the circuit riding plan and so forth, that will make Methodism the best-suited religious form for the new frontier of America, for the kind of “enterprise pietism” that would take root in America and inspire millions and birth American evangelicalism. Can we now go and reapply Wesley’s this-worldly asceticism to business enterprises today, to organizations that add value to our communities . . . I am absolutely convinced this is the case. In so doing, we are tapping into a deeper tradition. In other words, what we have in the Methdoist movement quite clearly is what David Bebbington identified is the activist emphasis within evangelicalism: that world-changing impulse that had begun already in Moravian pietism, to change the world through world-spanning missions that compelled W to cross the sea (encountering Moravians on the way), where Whitefield’s orphanage was, and that sparked the genius plan of the circuits, which came into their own as an organizational method in America. One has an aim to change society and individuals, and one applies means to that. W is so goal-driven and so single-minded and indeed ascetic in his purpose to achieve that goal, that his very example drove Methodists on both sides of the ocean to similar activism, in service both of the faith and, later on, of business—such that the movement, as H Richard Niebuhr reminded us, moved steadily up the economic ladder to greater and greater material success, eventually sparking the reaction of the holiness movement when it seemed that material success was overwhelming the movement’s initial spiritual impulse. Of course Wesley saw that happening in his own lifetime. In his 80s, he preached a sermon in which he observed with great regret that Methodists had been really good at following his first two rules for the use of money—get all you can and save all you can—but had almost universally failed to follow his third—give all you can. He judged his movement a failure on that last score, as what he had feared would happen, had indeed happened: the love of money had reared up and stolen away much of the energies and focus of many Methodists. This entry was posted in Resources for Radical Living, Work with purpose and tagged B. T. Roberts, economics, ethics, holiness, John Wesley, Methodism, Orange Scott, Randy Maddox, sanctification, social ministry, social reform, Wesleyan, work. Bookmark the permalink.